Radio Advertising: Does It Work Well Anymore? Does radio advertising still work anymore? Is it nearly as effective a marketing medium as it once was? Well, the answer is yes – but only if it is done with calculation. If you choose to run a radio advertisement for your plumbing, HVAC, or electrical business, you’re going to want to make sure that the right research has been put in ahead of time. There is some debate about successful radio advertising today, and many would argue that there are both positive and negative sides to it. Here are some reasons why radio advertising that is well prepared can turn into a profitable marketing investment tool for your business. Radio advertising is a lot more affordable than you may think. Many times we can get caught up in the high prices of running television ads, thinking radio must cost around the same price. However, according to this article by Bizfluent, in a highly populated city or metro area, running a scheduled radio advertisement could cost as little as $2,000 to $3,000 per week, and most packages are purchased on a monthly basis. 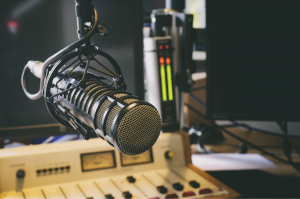 But that’s in a metro area – if your business is located in a much smaller area, you shouldn’t have to pay nearly as much for a successful radio ad. Plus, when you work with Contractor 20/20, we are strong negotiators that will always save you money and get your business additional spots. To create tailored ad copy, you need a team that knows how to research your audience. This could be through surveys, studies, and additional analyses. Once you have that information, we can pick the right station, the right time slots, and tailor the ad copy. All of this increases the effectiveness of your ad, and your ROI. When it comes to successful advertising copy, at Contractor 20/20 our approach is to create an attention-grabbing call to action, enhance the existing brand image of your HVAC business, and utilize endorsements and testimonials from satisfied customers. At Contractor 20/20, we certainly believe that radio advertising is just as successful a medium today as it was long ago. Radio excels at generating high/positive name recognition in the community, and in the long run, the company with the highest positive names recognition wins the larger market share. In the short run, we have observed that consumers that know of a company before they do a search, or receive a direct appeal, increase the direct marketing results by a minimum of 35%. Lastly, a company known for quality work can charge more without harm to their brand or market share. Radio helps increase positive brand image, name recognition, and top of mind awareness better than almost any other marketing tool. Are you a business owner of a plumbing, HVAC, or electrical company who believes that you could be generating more traffic than you are right now? Then call us today. Your line of business is our specialty. We know what works to command attention to your product, and we want you to be the most successful you can be. Whether radio, television, internet, or print advertisements, we can generate more profits, and that’s a promise. You can reach us at (607) 770-8933.